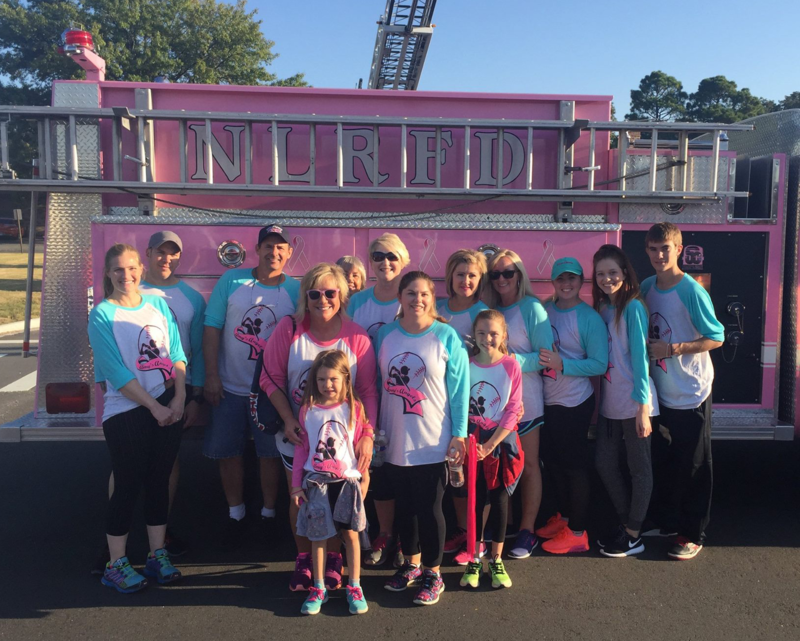 Several Local Lodge Members joined fellow breast-cancer survivor Amy Coleman on her team “Amy’s Angels” in the 24th Susan G. Komen Race for the Cure in Little Rock. The annual event, which was held Saturday, October 14th, in the downtown area had over 15,000 participants as runners and walkers, with around 2500 breast cancer survivors participating. Survivors come not only to race, but to share their personal experience in hopes of encouraging others. The Susan G. Komen Foundation is second only to the federal government for money spent on breast cancer research. Additionally, the organization helps those diagnosed with the disease by paying for mammogram and treatment expenses, transportation and even childcare while they are receiving treatment. Anything a patient may need during hard times.Amy was diagnosed with breast cancer in December of 2008. After undergoing several months of treatment, Amy defeated cancer and is not only a SURVIVOR but also a WARRIOR against the disease, by helping raise awareness, and by sharing personal encouragement and support to others affected by the disease. We, as a Local Lodge, are so proud of Amy, her courage, and her resolve.